It also goes through the busy resort of Bugibba and up to St. Pauls Bay in the north of this resort. The Hotel is also conveniently located next to the neighboring region of Bugibba where you’ll find scores of first-rate bars and restaurants. 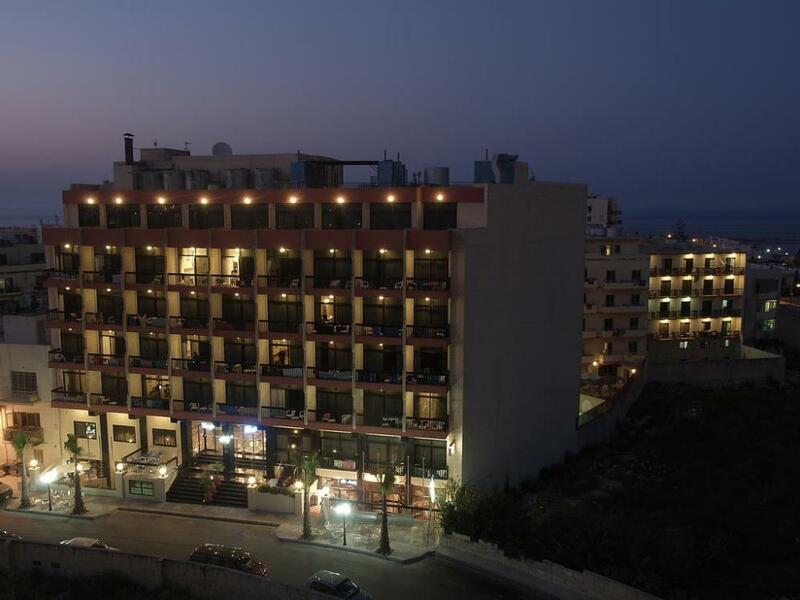 The central location of the Canifor Hotel makes it an ideal choice for your Malta holiday. Nestling almost on the borders between the towns of Qawra and Bugibba, this popular boutique hotel is a only a few minutes from the centre, thus enabling guests to enjoy the many facilities which can be found in the areas next to the hotel .... restaurants, cafes, nightlife and shopping possibilities. The Hotel enjoys a reputation for good service and for being a customer friendly hotel where the staff try to make guests feel at home. As a boutique hotel, the Canifor Hotel offers guests a choice of amenities which are available to guests all year round. An indoor heated pool is popular during the winter and spring season whilst the outdoor lido and sun terraces are the place to be during the warmer summer and autumn months. The Hotel has some very comfortable lounge areas for guests who want to relax around the hotel, whilst the cafe and bar areas of the hotel are popular for lunch time snacks or to simply enjoy a coffee and take things easy. Situated in a prime location in the centre of the popular resort town of 'Qawra', the Canifor Hotel has been specially designed and constructed to cater for the clientele who like to enjoy a comfortable hotel in familiar surroundings with the resort all around them. Canifor Hotel offers a comfortable restaurant as well as a popular bar/lounge, and a coffee shop/café for guests who like to simply relax and take things easy. As part of the indoor facilities of the Canifor, guests can find a selection of beauty services, massage and treatment rooms as well as a hair salon. In addition to the indoor pool, the guests can also find a small fitness room and spa tub. During the warmer summer months, guests can relax around the outdoor pool and sun terraces. Built on 6 floors, the Canifor Hotel has a total of 150 twin bedded Standard Rooms and 20 Superior Rooms. 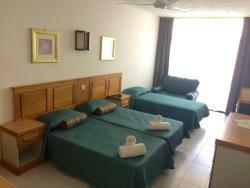 The rooms have been designed and furnished to provide the guest with comfort during their stay at the hotel. A selection of rooms have views to the rear of the hotel where the pool is located whilst other rooms have a street view. All standard rooms are fully air-conditioned, cooling during the warm summer months and heating during the cooler winter months. 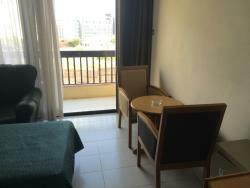 The rooms are equipped with direct dial telephone facilities, hair dryer, satellite television and local radio stations. A room safe and mini cooler can be hired at a small charge. The superior rooms are with guaranteed pool views and are larger in size than the standard room. There is also tea & coffee making facilities in the superior rooms as well as an iron and ironing board. A sofa bed can also be found in superior rooms. 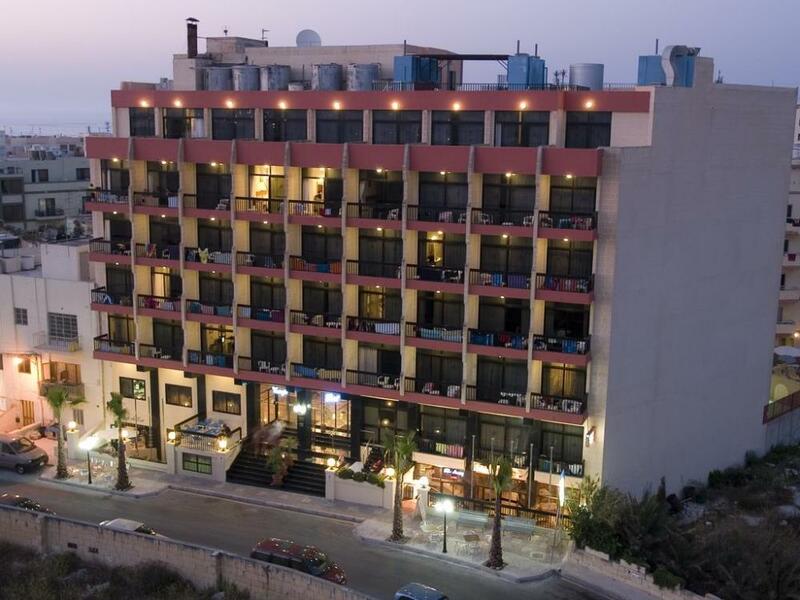 The resort of Qawra and especially the immediate area around the Canifor Hotel has been created very much with the visitor to Malta in mind. Dining possibilities are endless in Qawra with cuisines from around the world on offer. There are lots of chic coffee shops and the more traditonal pub type venues where you can enjoy the Mediterranean atmosphere. Along the Qawra promenade there is always something interesting happening which helps to make your Malta vacation even more memorable.